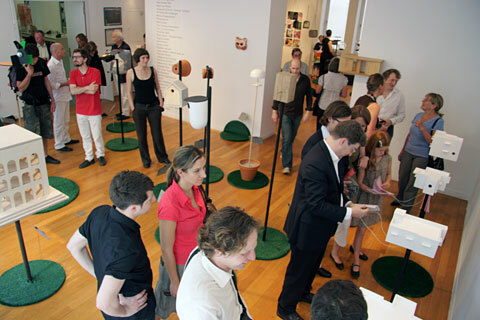 No small design task, even if the setting is clear: Typologically speaking, there is a diversity of bird’s houses. And they are highly symbolic into the bargain, be they small boxes or large residences. 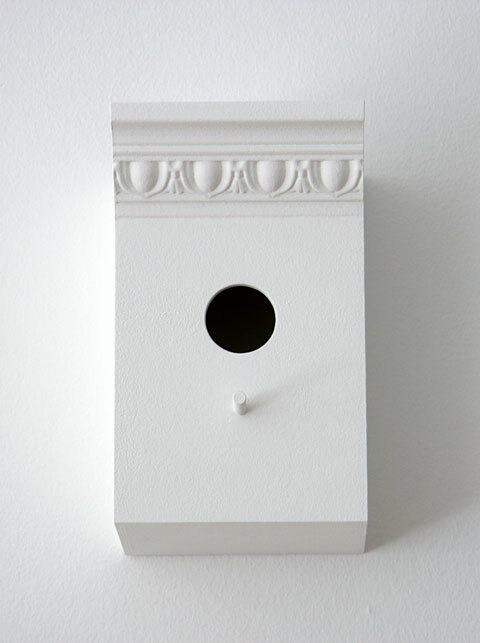 Serious questions of load-bearing characteristics, coupled with artistic humor, may come into play when designers start to think in earnest about houses for birds. 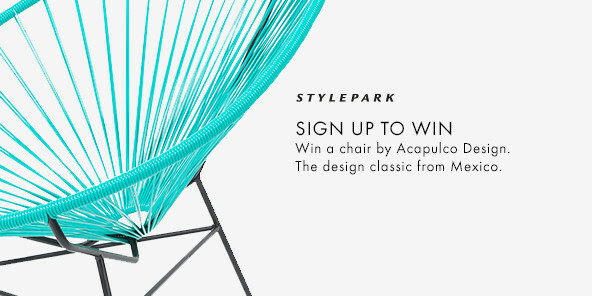 Munich-based design agent Tobias Glaser invited 25 architects, designers and artists to try their hand. 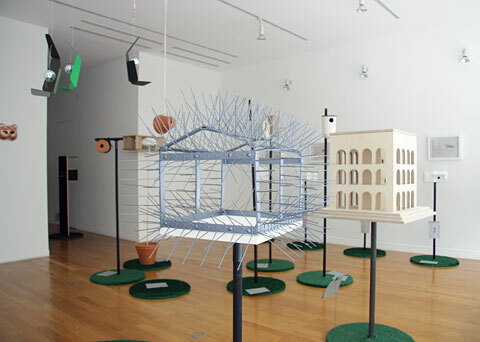 And a total of 40 of their proposals for bird’s houses are now on show in that city’s Galerie für Angewandte Kunst. 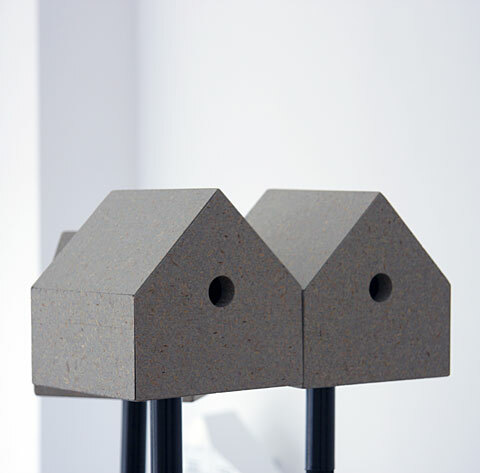 The gallery rooms offer a wealth of insights: In the sense of architecture on a small scale, bird’s houses are in the tradition of detached family homes. The highlight an aesthetic stance and take into account functionality, the materials, and ecological. Produced in small series, these nesting places and protective roofs are also industrial design. That said, some of the proposals in the exhibition fit into neither category as they are art objects and thus reject the idea of industry. Wire designed to frighten off pigeons, shaped to follow the contours of a saddleback roof, is the basis for the uninhabited bird’s house created by Munich-based designer Herwig Huber. Unwelcome guests or even squatters are resolutely repelled. 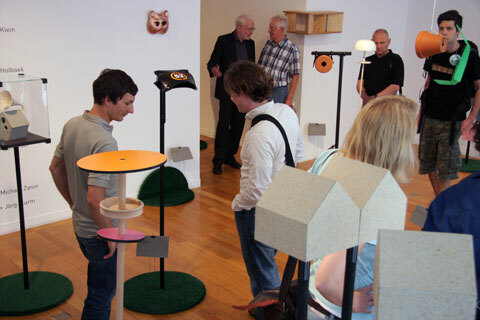 In the gallery rooms of the Bavarian Arts & Crafts Association there are also blob-like feeding platforms, prefabricated house kits, and chance found objects on show, which, when removed from their original context and hung from a branch offer astonishing homes. 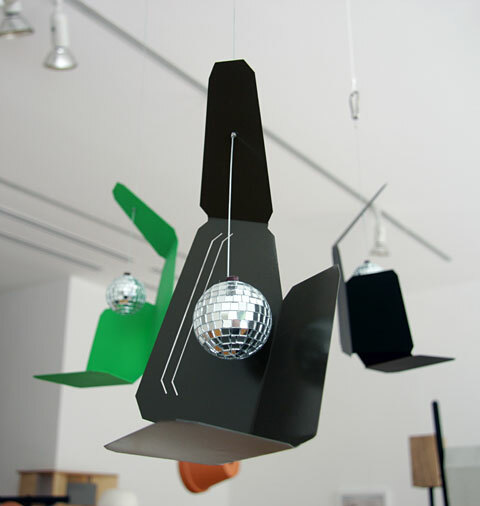 There’s even a bird disco – after all, the design brief was very open and the purpose of the bird’s house was not defined – sleeping, eating or singing. 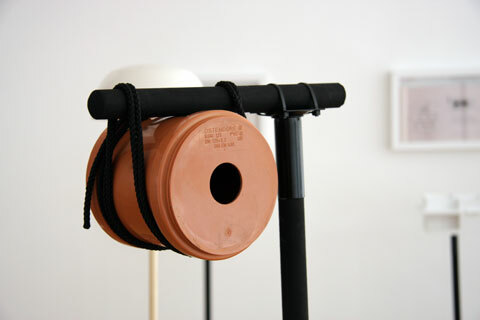 Bird’s houses are metaphors, be they made from porcelain or by rapid prototyping, from plastic or from wood. They stand for the primordial hut, that oft-cited construct that the architectural treatises since Classical Antiquity always refer to and which still offers so much potential for discussion. Solely from the historical viewpoint there are many gradation, and that includes for bird’s houses: Modernist concrete cube or rural Black Forest villa? If someone answered the question simply at the level of German homes, then the bird’s houses would feature a uniform design, too. And would of course be less symbolic.